Do you remember this ‘slogan’ from one of Nigeria’s telecommunications company – ‘the best just got better!’? And that remains a matter of individual opinions up till today! Now, the same can be said of free email service by Google, widely known as Gmail. Google has always introduced new feature that would warm any heart. I particularly like the mobile apps – for Androids and iPhones. 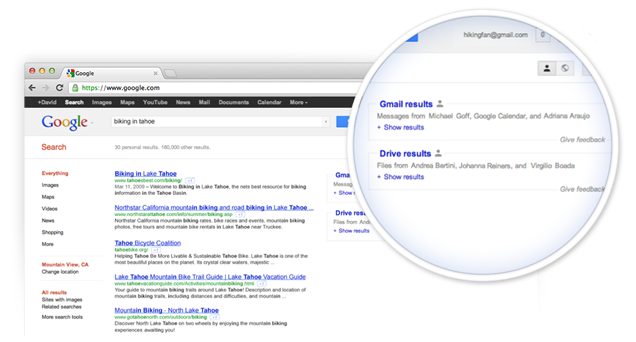 If you liked the new ‘Compose Window’ then you’d like the new search features in Gmail and on Google. As you type a search in Gmail you’ll instantly see relevant emails as well as results from Google Drive, Google Calendar and more. Your searches on Google.com may bring up relevant emails, files and more from Gmail and Google Drive. As these new features are still in the works according to Google, you may only preview the changes at this time. What’s more, you need to opt in to the field trial to try things out for yourself. Also not that the trial is currently only accessible on https://www.google.com in English and for @gmail.com addresses (not available on Google Apps accounts). Due to limited capacity and initial setup, you will receive an email confirmation from Google when your account is ready (and possibly other update emails during the trial). You can also opt out of the trial if and when you so wish. What do you think of this?